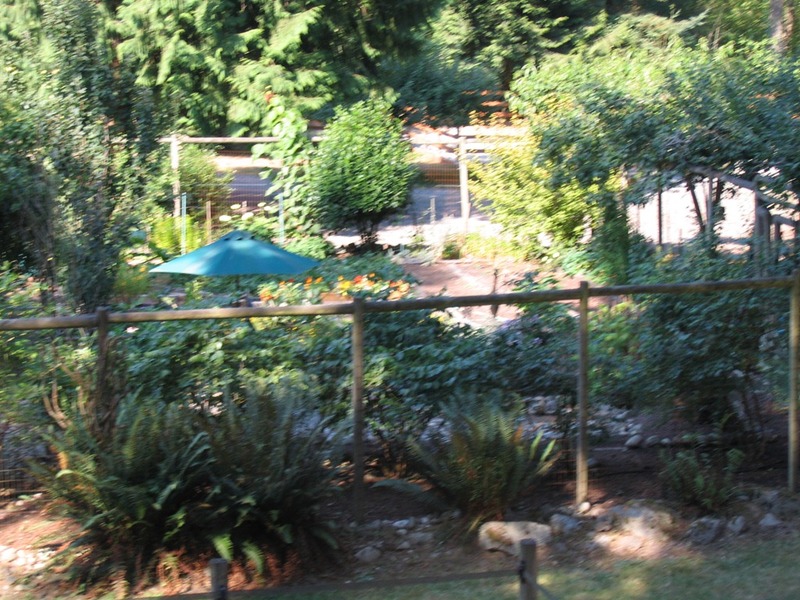 At last, here is the promised back story of my relocation to Vashon. It’s been delayed by the absence of my desktop computer, on which I had some pictures I wanted to show. Now I have both computers with me and I can publish the story. 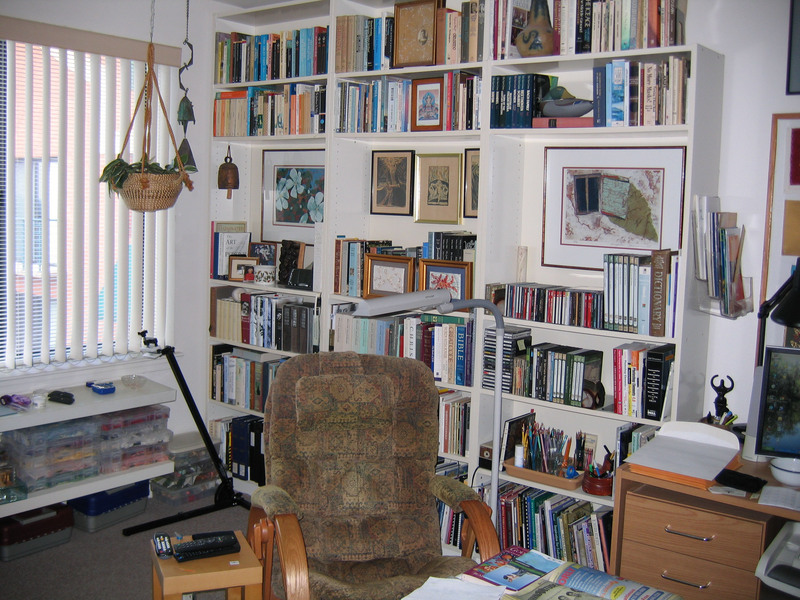 Ever since I recovered from ME/CFS in the spring of 2009, I was unable to live at Charlestown without being sick. 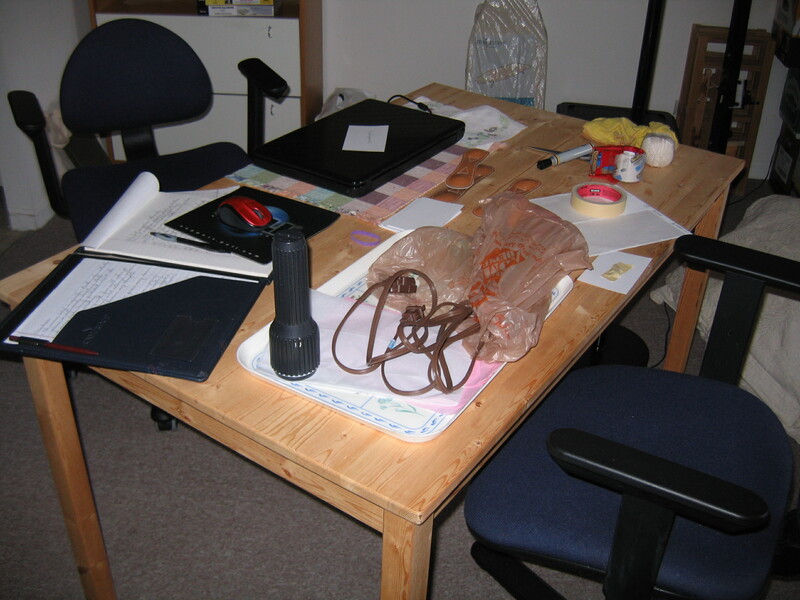 At Charlestown I had ADHD, tremulousness, Hunger Attacks, and other symptoms that usually abated or disappeared altogether when I was away from Charlestown. At first I tried to find ways of living there that would allow me to feel well. I tried participating in various activities, joining groups, going to meetings and events; but no matter what I did, at Charlestown, I felt sick. I knew even then (two years ago) that I didn’t belong there, didn’t want to be there. In effect, I discovered, I was living with my parents—the people against whom I had rebelled and from whom I had fled in the 1960s. The Charlestown population, average age about 86, is WASP. The community is white, suburban, conservative, and mostly Christian. As the residents have aged, the place looks more like an assisted living facility than a retirement community, with walkers, wheelchairs, and electric scooters everywhere. I was a misfit—too young and too counter-culture. But I had to be there. Ernie was already in significant decline. Although I tried throughout 2009 to find ways to make myself feel better and to contribute to the community; and although I was fully functional, I was unable to do what had most satisfied me—making textile art, reading, and studying—because the symptoms were bad at home. Further, my insomnia worsened, despite prescription medications. I was drinking lots of gin (I mean LOTS) every night to force myself into sleep. Since I’ve already written about 2010 in another post, I’ll just summarize what has happened since. After Ernie was admitted to RGT in January, I expected to feel better. Instead, I felt worse. At least while he was living with me, I could control his environment. I could facilitate him having his own routines and preferences, and food he liked to eat. At assisted living, he is in an institution. Good as it is, it is not home, and I can’t control how things are done. I became even more tremulous and less able to function at home. What’s more, the man in the apartment beneath mine requested that I not practice the piano at 5:30 in the morning. Not an unreasonable request, but that was the only time my hands were not trembling too much for playing the piano. My new piano had become useless to me. Ernie knew how sick I was. He wanted me to be well. He said to me several times that I didn’t have to stay at Charlestown. That made no sense to me. I couldn’t leave him there, and by the time he dies, I may need assisted living myself. Leaving Charlestown was not an option. It was unthinkable. Somehow I would have to endure living sick and unproductive. 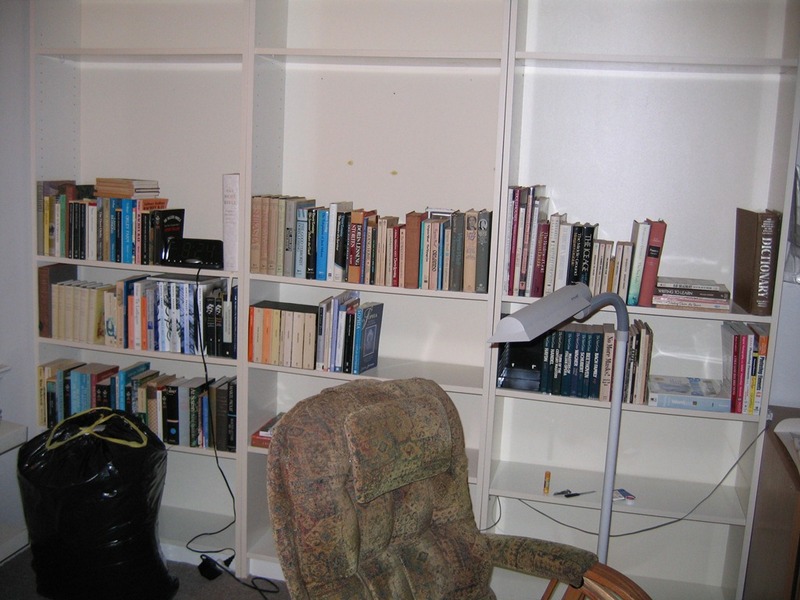 Unlike with ME/CFS, being in seclusion in my apartment made me feel worse. I felt okay only when I was away from Charlestown. In February, needing moral support, I asked son Geoff if he would come for a visit. It was not until the end of May that it was possible for him to get away from home and work for a few days. Of course I hadn’t a clue in February that by May I would be even closer to breakdown. Seeing how sick and distraught I was, Geoff forced me to think about an alternative living situation. In what circumstances would I like to be living? I did not know where I would go. On June 8th I met with the Executive Director of Charlestown to tell him I would be leaving and to find out what were the financial ramifications of me leaving and Ernie staying. Having made and announced that decision, I stopped drinking gin. The next day. It was as though a switch had been thrown. I didn’t need or want alcohol, even though I was still sleeping poorly. Okay. I would leave Charlestown. But where would I go? I know no one in Baltimore except son Michael’s family, and their lifestyle is too crowded and hectic to include me. I know my brother’s family, but their lifestyle is too evangelical Christian for me to fit in with them. Geoff had invited me to Vashon. He said he wanted me to live there and that if I needed help, he would provide it. (Not what I wanted my children ever to do.) Nevertheless, I decided to visit Vashon, never having been there, to see 1) whether I could be there without symptoms, and 2) whether I could feel comfortable, at home, there. After all, the Pacific Northwest has a very different climate from Baltimore and Vashon Island has a unique culture. And…..would I want to live so close to family? Most critical, could I actually leave Ernie at Charlestown? As you know, I came here in July, but I didn’t say I’d come here to answer those questions. Before I came, though, I felt that the rest of my family should know what I was thinking. I was scared of telling them. A nervous wreck, I was seeing the mental health practitioner at Charlestown. Could I leave Ernie? How would I tell my family? No sooner had I decided that I should talk with them about this idea than opportunities to do so came to me. My brother took me to lunch for my birthday. Granddaughter Melissa invited me to great-granddaughter Aly’s 10th birthday celebration in New Jersey, where I could talk with Melissa, son-in-law John, and daughter Patti. Before I left for New Jersey, son Pete asked me if I could baby-sit with grandson Noah the following Tuesday, a chance to talk with him and DIL Karin. During a previously scheduled dinner with daughter Anne, I told her. Son Michael called me, “Want to go flying Friday morning, JoWynn?” Breakfast in Ocean City would have been the perfect time to tell Michael, whose reaction I most feared; but it was stormy that morning. So Michael took me to breakfast in Catonsville instead. So I came to Vashon and immediately knew I couldn’t live here. You’ve already read about that. But since I was here and had to stay until my non-refundable return flight, I told Geoff I wanted to look at rental places. That was all I wanted to do. I was sure that if I found a place where I wanted to live, the rest would follow. On craigslist Geoff already had found some places for us to see. 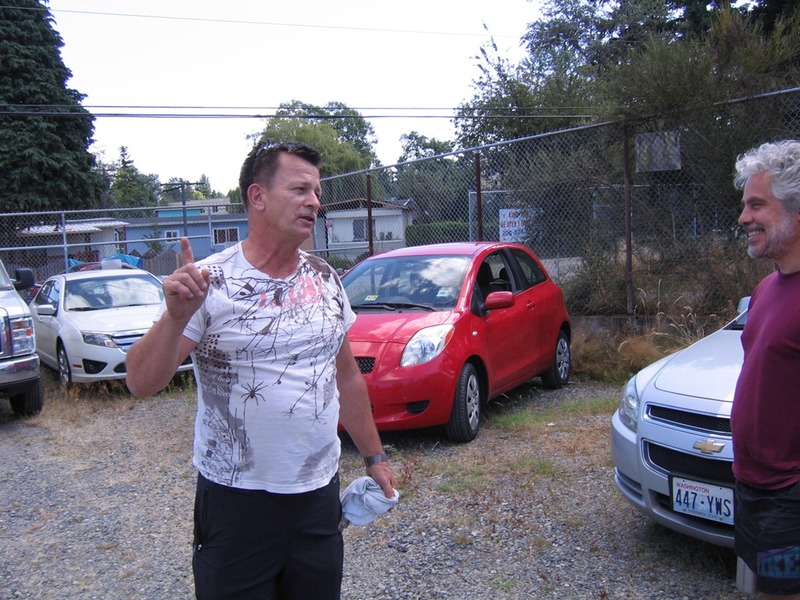 In the process of looking at possible places to live, I saw the beautiful Vashon and I met interesting people. Also, I got to spend a lot of time with Geoff—just what I needed. On July 28th we saw The Barn and I knew I wanted to live there. 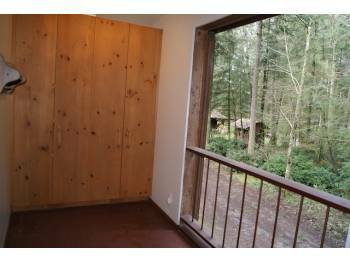 Here are the photos I saw in the craigslist listing. 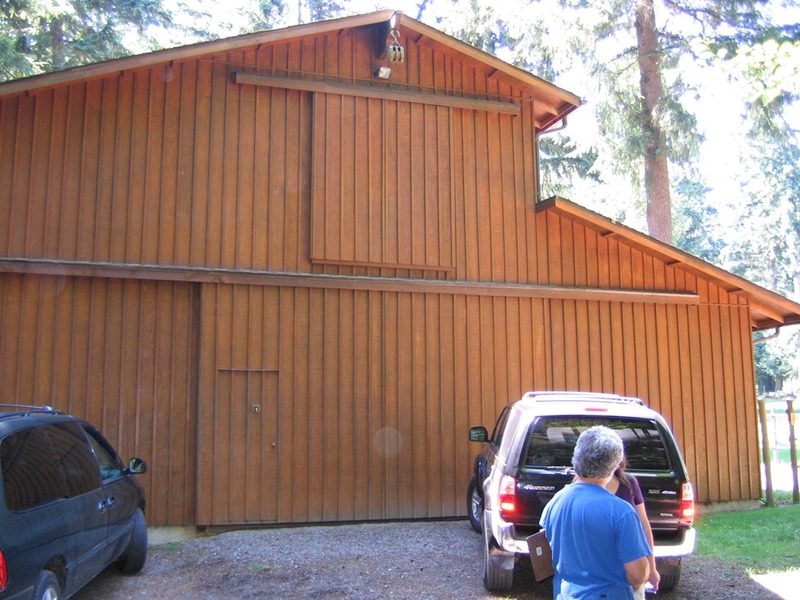 This studio apartment is located on a five-acre estate one mile into the forest. The owners live here. The Barn is located about 100 yards or so to the right. 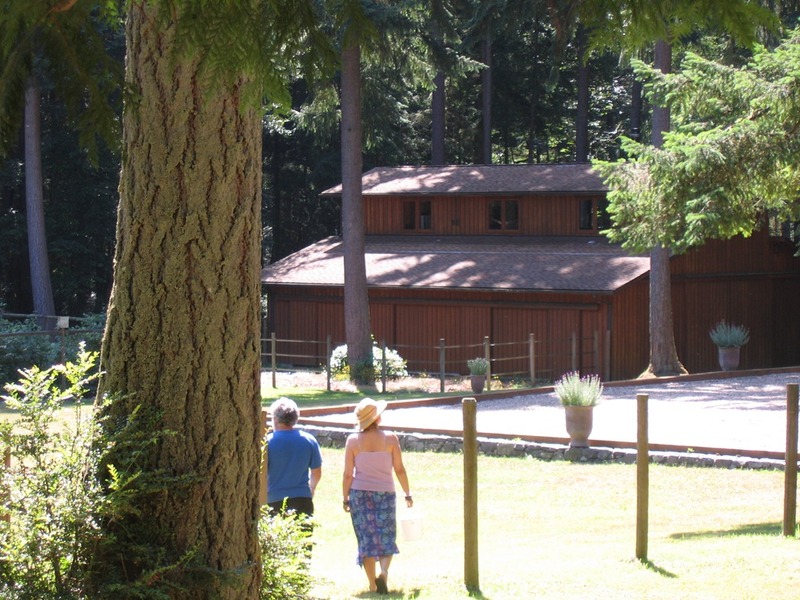 Here’s a shot of Geoff and Carol walking toward The Barn. 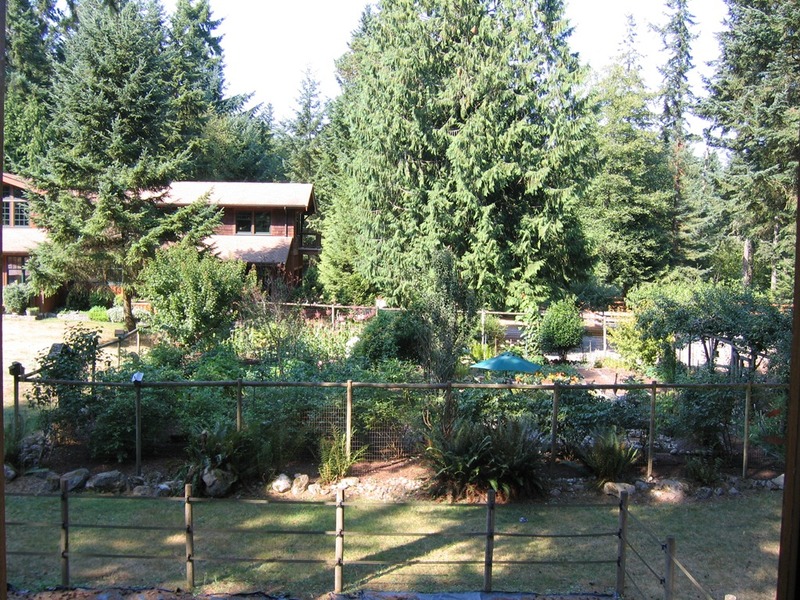 Between the house and The Barn is a large garden. 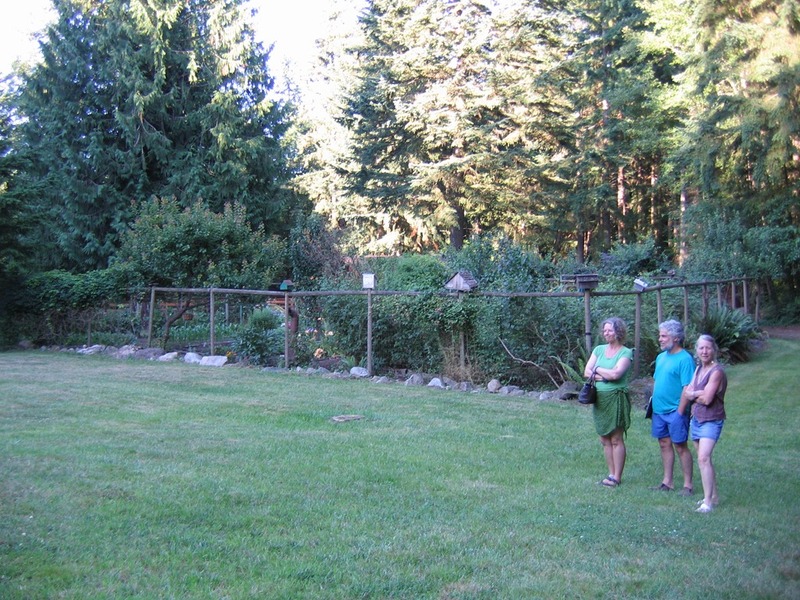 Here are Geoff, Carol, and daughter Nan beside the garden. And here is the entrance to my home. See the small door? Notice the sliding doors above. Those doors are at a landing at the top of the stairs to my apartment. When they are open, this is the view. The landing becomes a balcony, where I can sit and look into the forest. From the windows on three sides, I see forest. From the other side, I see the garden and the owners’ magnificent house. Back to the story. Another woman came to see the apartment while we were there. I knew this place would be snatched up. Immediately I submitted my application to the rental agent. That was Thursday. Next I had to be interviewed by the owners. Since there was the possibility that I might not be offered the apartment, I kept looking at other places. But I knew that was my new home. I knew I was going to move to Vashon and live there. Sunday morning came the phone call from the agent. Could I meet with the owners that afternoon? There was another factor in my decision-making, one that I had not considered at the beginning of this process. Then I was thinking only about where I could go to get away from Charlestown. 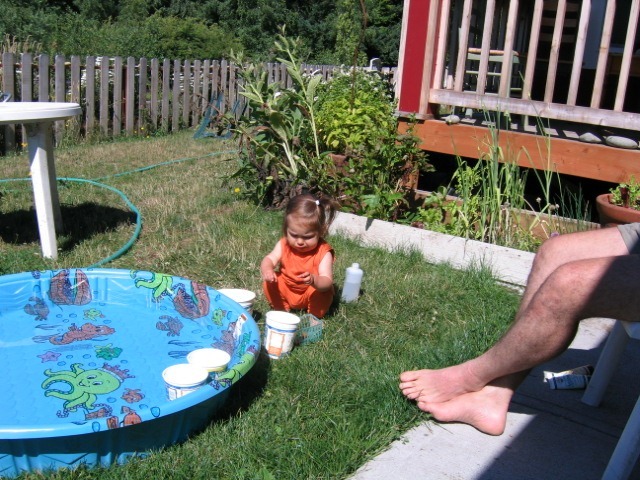 When I got to Geoff’s house in July, I found that every day he was taking care of his granddaughter, then 17-month-old Beau, my great-granddaughter. Granddaughter-in-law Lauryth (Beau’s mom) was on forced bed-rest to recover from a severe ailment. Because she has had previous incidents of disability, it had become clear that she is going to have to live within some limitations. Although my grandson Caleb, son Geoff, and his wife Carol, as well as Nan, do all they can to cover for Lauryth when she’s ill, they all work. I realized that I’m needed here. I can help. I need to be here, not only for myself, but for them. Their need and finding the place where I wanted to live gave me the assurance that I was on the right track. In time, you will hear more about the owners of The Barn, but let me just say that they are gracious, generous, kind, and warmly welcoming. During our interview, which was a delightful conversation, we set the date for the lease-signing. 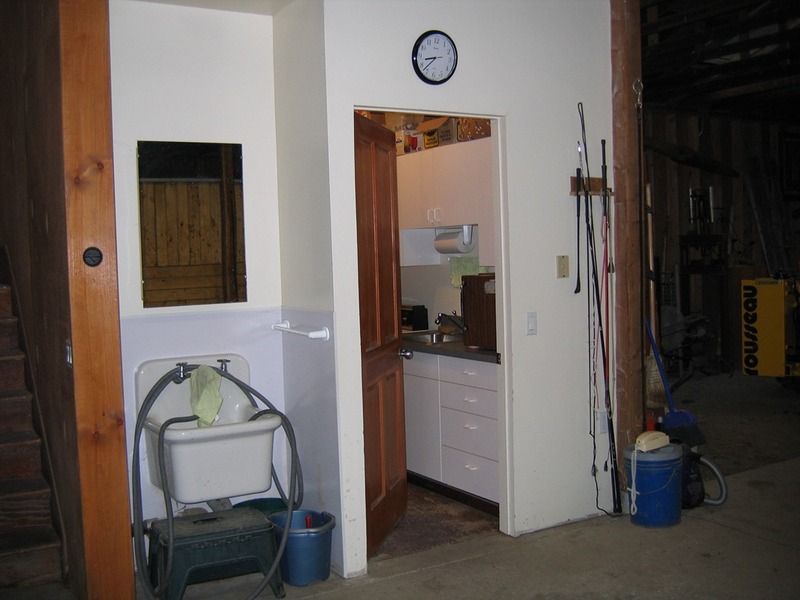 He is a building contractor and sawyer, as well as a skilled cabinet-maker and wood-worker. She is a nurse, administering a kidney transplant program. 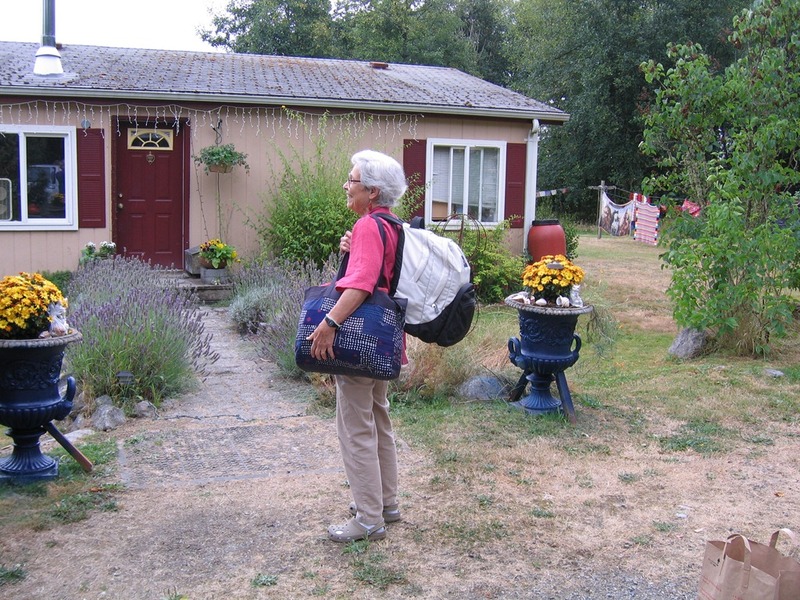 How could a 74-year-old woman living alone be better situated? They can fix whatever might go wrong with me! 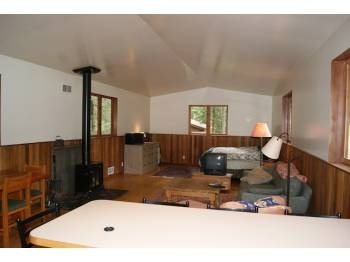 What’s more, I had the option to rent the place fully furnished. 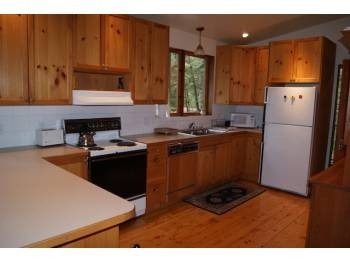 Not just furnished, but everything needful supplied, as though for a vacation rental. I wouldn’t have to pay to have all my furniture moved across country. Nor would I have to start from scratch here. Couldn’t be better. And so I went back to Charlestown August 5th with a lease that began August 3rd—to pack up and get myself moved as quickly as possible. I myself cannot believe what I did in the 3 1/2 weeks after I got back. After several movers’ estimates with prices that scared the S—T out of me, I got one that was within the budget I’d set myself. It was a “not-to-exceed” price and it included moving my piano. I arranged to have my car driven to Seattle. And I started packing, an extremely effortful task, mentally as well as physically. Decisions, decisions, decisions. Extremely anxious time. Could I get everything done by August 30th, the loading date? Could I get along without my car after it was picked up August 25th? 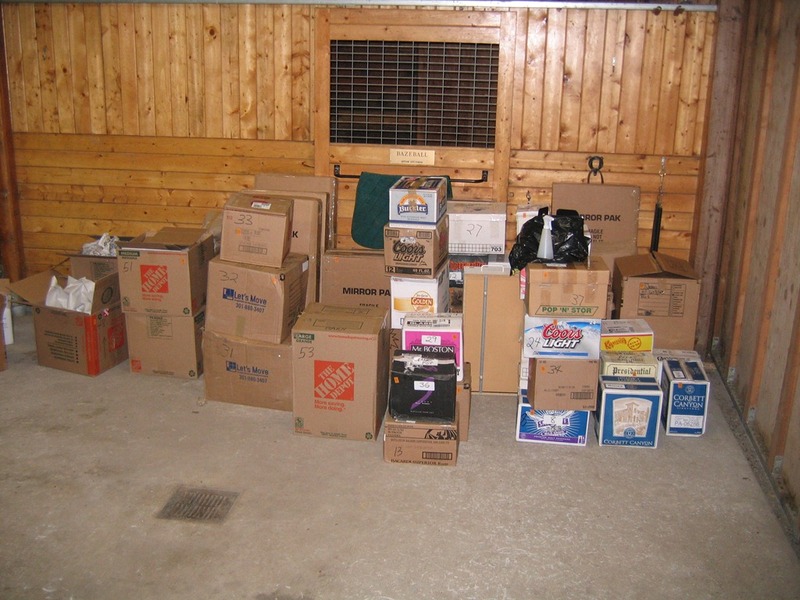 Did I have enough boxes? (Multiple trips to the liquor store and to Home Depot for boxes.) Could I gather enough newspapers? 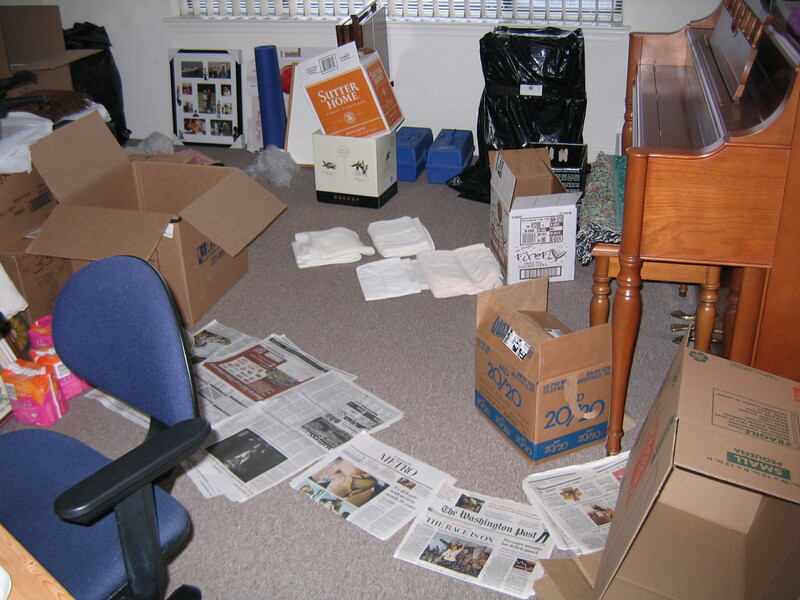 Every day I got up and started working, first getting rid of stuff. I sent a small mountain of stuff to the Treasure Sale. They needed a large flat-bed to carry it all. Then I nearly filled a large trash bin. I mean a trash bin large enough for me to sleep comfortably down inside it. There were a lot of hard decisions about what to take and what to get rid of. All the while I was feeling sick with anxiety—hardly sleeping. These are books I can either read on Kindle, if I want to do so, or they’re books I know I won’t read again, even though they’ve been important to my development. Under my bed I found a relic of the time I spent most of my time on the bed–this knee pillow. While I was packing, son Pete came with his pickup truck to take furniture and other items granddaughter Michelle could use for her first apartment in Queens, NYC. Together we loaded the truck. I think it’s cool that 22-year-old Michelle and I are starting new lives in our own apartments at the same time. 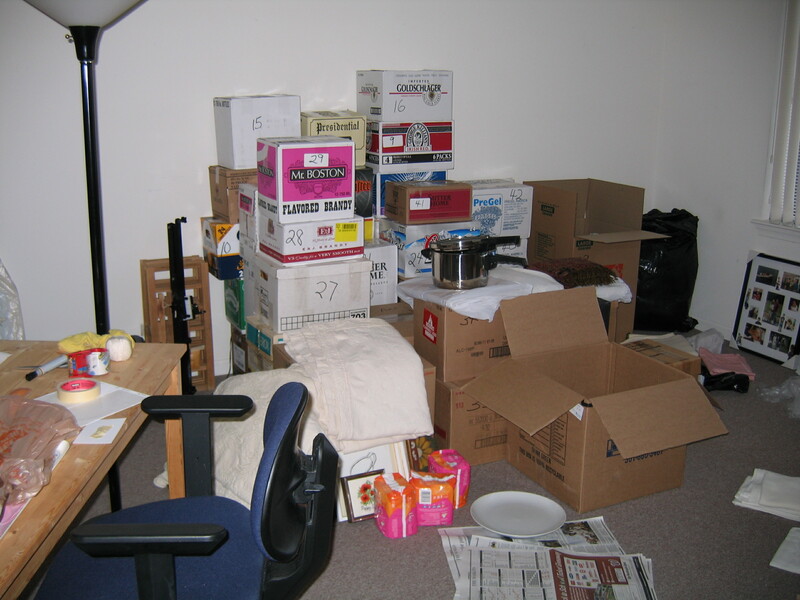 Packing is difficult because it’s so hard to know where to begin and what to pack with what, what will fit where, and how to get the most into a box. I carefully numbered, labeled, and inventoried every box. 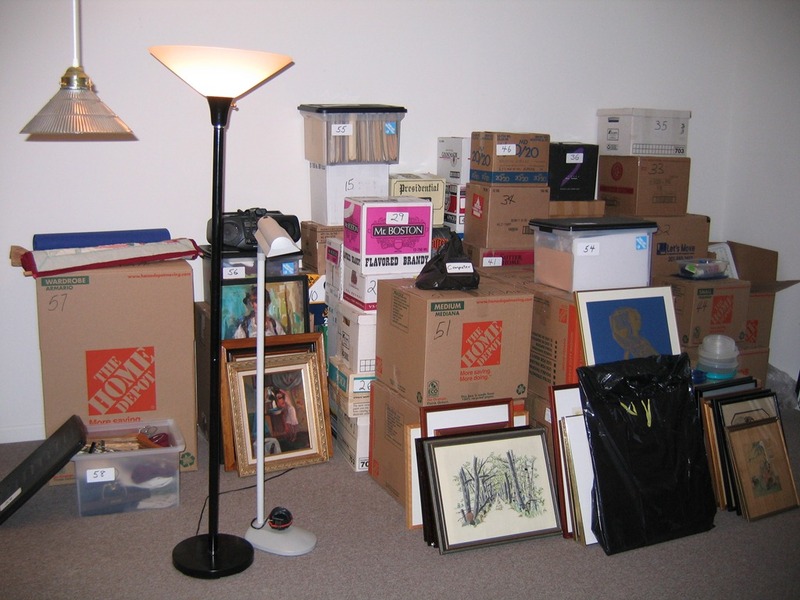 I packed and stacked 59 boxes, including very large ones, and I removed all the art from the walls. 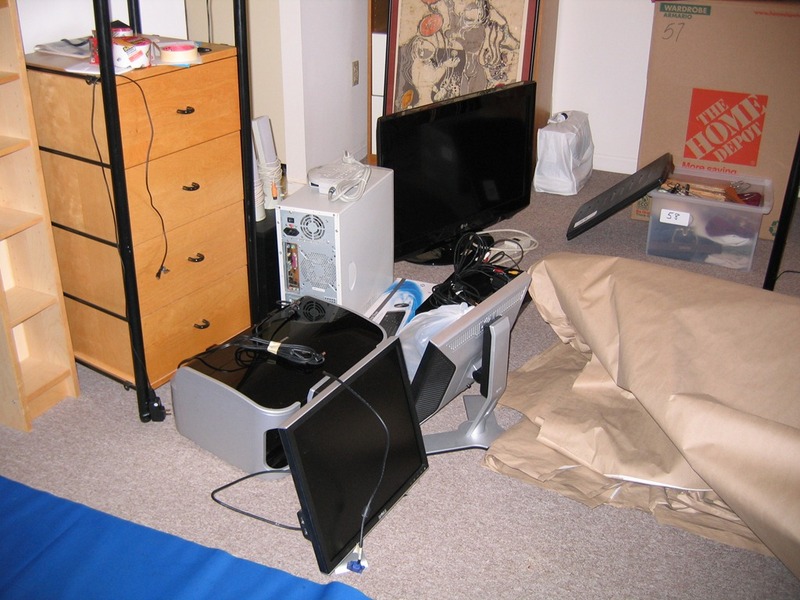 I had just finished disassembling and moving my computer, TV, DVD, and other electronics into the living room when the movers called that they were on campus. I had gotten it all done. They packed my art and electronics. Here’s Phil, the leader and driver. 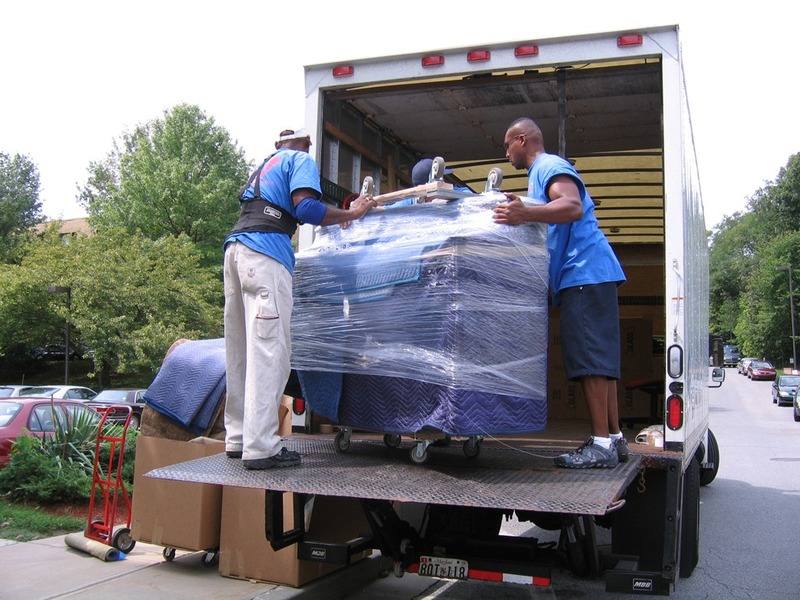 And here are Tony and William, carefully wrapping my piano and wrestling it on to the truck. I couldn’t have had a better crew handling my household goods. They were cheerful, skillful, and efficient, and their teamwork was superb. Neighbor Helen told them it was a pleasure to watch them working. “You made it look like you were having fun,” she exclaimed. That night, Monday night, after leaving Ernie at his dining room, I lay on the bed for two hours in silence in the empty apartment, wide awake and wiped out. I got up and ate. It was more than another hour or so before I could wind down enough to get to sleep. He has always wanted me to be free. That’s why I love him so much. We agreed that the last three weeks together would be good. We would not be mournful. We’d done our grieving. We spent the time reminiscing and enjoying each other and our memories. As I found pictures, forgotten albums, various mementos, and odd things Ernie had stashed, I brought them with me to his studio. We laughed a lot. As Ernie and I were taking leave, I was also having to tell people at Charlestown that I was leaving. I dreaded that. I expected people to say, “What about Ernie?” Ernie said I should tell them that my family needed me more than he did, that he had all the assistance he needed. That worked. I found warm support from everyone with whom I spoke, starting with the Director of Nursing who, back in January, had told me Ernie could be cared for in assisted living. A supportive resident, whose husband is in the care center and far gone in dementia, drove me to the airport, wishing me well. Ah, the airport and getting here. I arrived at BWI airport at 6:30 p.m. on Tuesday and at Nan’s house on Vashon at 4:40 a.m. (Eastern time) on Wednesday, having been awake since 4:30 on Tuesday morning. Going through Security, I left my cell phone. Panic! I brought only what I could carry in Ernie’s back-pack and my large cotton patchwork bag with my laptop, a bulky bath towel for a pillow, and everything else I could stuff into it. I was upright and awake the whole time I was sitting in the airport and on the airplane. Exiting the plane in Seattle, at the most remote gate, I seriously wondered whether I could walk to the exit where Nan was waiting for me. For the first time in my life, I felt like a little old woman. I felt frail. But I made it, so shaky that Nan had to take my hands to help me from the curb to her car. The next morning, aching all over my body, I waited for Geoff to come get me. He said, “You should be dragging something on wheels, not carrying everything in a back-pack like a student.” It was what I had. 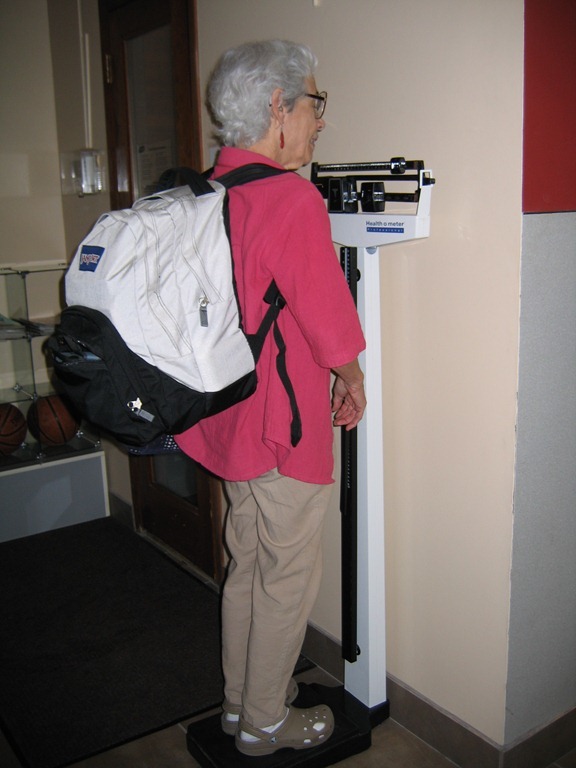 We went straight to the Vashon Athletic Club so that I could weigh what I had carried. Without the load, I weighed 112 lbs. Fully loaded, I weighed 156 lbs. I had carried that weight through two airports, and done it after 3 1/2 weeks of heavy-duty work—emotional, mental, not to mention physical. I felt more exhausted than I can remember ever feeling. On Friday my car arrived in Seattle and Geoff and I went to pick it up. Here’s Dwayne, the driver, who said that driving cross-country had now been crossed off his bucket list. 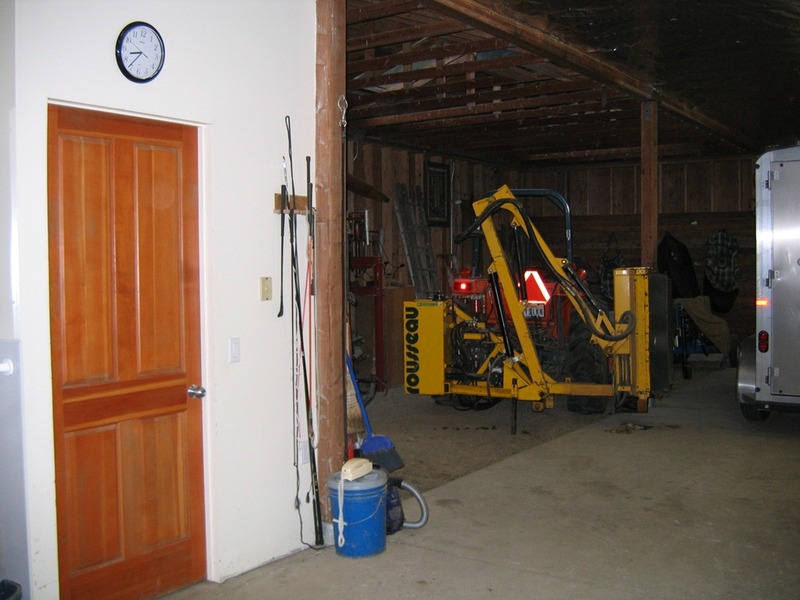 Back on Vashon, I gathered up my belongings from Geoff’s and Carol’s house, shopped at Thriftway, and moved into The Barn, my new home. Tired as I was, I couldn’t stop until everything I could do had been done—at 8:30 that evening. I was wired and wasted, but at home. I felt at home. Since then, for the first time in many months, maybe two years, I’ve been able to read books again. 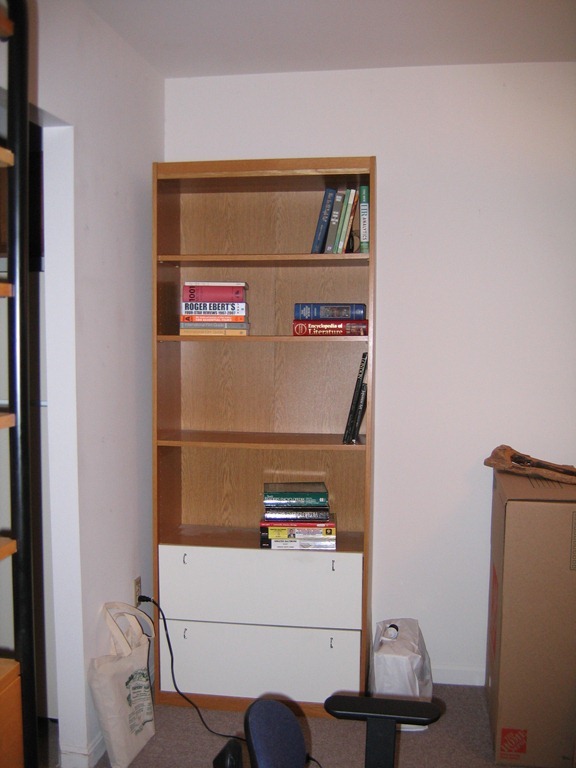 I’ve read two books (from the King County Public Library)and two New Yorkers just since I moved in on September 2nd. I’m not completely calmed down. I still have jittery, Hungry, nervous times. I still have occasional disfluency; but I can read for hours and I’m sleeping better. Without alcohol. Thursday morning Lauryth called at 7:30 to ask if I’d like to take a walk with Beau and her in the forest near their home. What could be better? After that, I swam 40 laps in the 20-yd. pool at the athletic club. 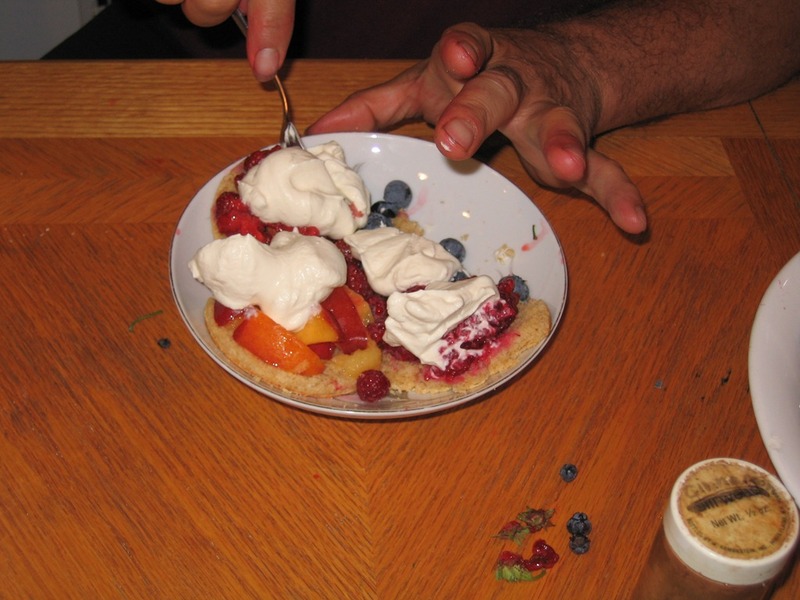 Carol’s homemade whole-wheat shortbread with local nectarines, strawberries, raspberries, and blueberries. And whipped cream. 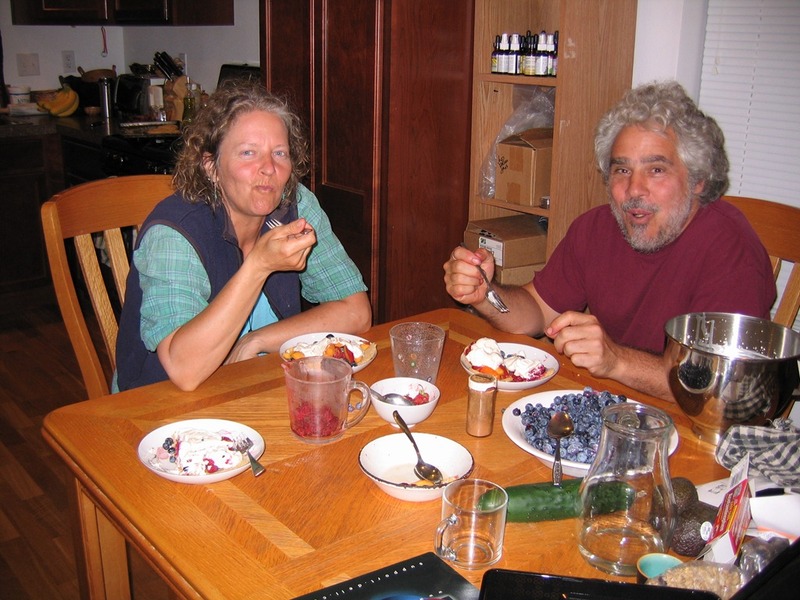 They had picked the berries from the garden at The Barn. Every day I talk with Ernie by phone, and every day I send him an e-mail message that is delivered to his cubby. I’ve sent him letters, too. He likes having something he can read and re-read. I will continue to do that. He assures me that he is okay and that he is enjoying my life. To me, it is amazing that in May I knew I had to live the rest of my life at Charlestown and now, three months later, I am living across the continent on Vashon Island. It is amazing how everything worked to make this new life happen. Everything necessary was provided, each step of the way. Geoff came to see me and suggested that I move to Vashon just when I was desperate, sick, and thus susceptible to such an idea. Ernie genuinely wanted me to leave, saying that he could be happy only when his beloved is happy. My family and Charlestown senior management supported me. 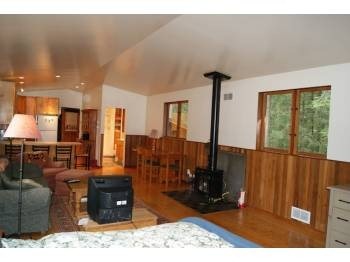 I found the perfect place to live on Vashon. What’s more, the rent is $250 less than the limit I’d set myself. Furnished! The move became affordable, thanks to the owners here, the moving company I finally found, and the Auto Driveaway service Geoff found for me. Ernie’s unwavering commitment and encouragement made it all possible. Over our 40 years together, I have said to him, “You are my hero.” He has never been more heroic than now—in letting me go. He feels that by doing so, he is helping our family, too. What matters most to him, though, is that he is helping me. Now you know. I am here in The Barn at Vashon. And that’s how I got here. I really am living in a barn. Here’s what it looks like inside. 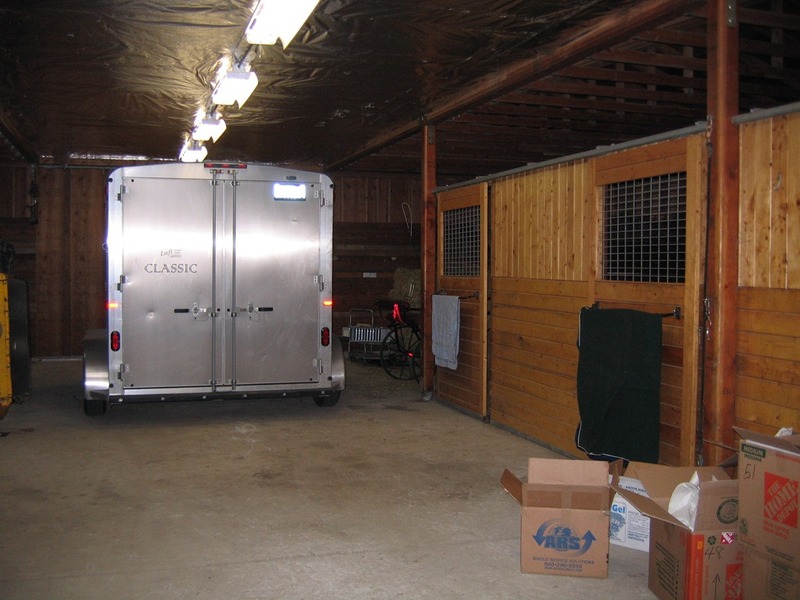 Notice the horse stalls. The horses don’t live there. They are stabled on the other side of the property. Those boxes are some I had unpacked. that go up to the loft apartment. Thursday night, knowing that it would be cold by morning, I decided to bring in some clothes to wear from the closet, which is outside on the landing/balcony. At 9:30 I went out, closing the door behind me to keep out bugs and immediately knew that I had locked myself out. I’ve been so careful about the lock, making sure it was either set to open or that I had the key; but in that instant, I forgot. Through the window in the locked door, I could see my cell phone on the kitchen counter. My first thought was to see whether I could walk to the nearest neighbor to call Geoff, who has a key. As soon as I got beyond the light coming from The Barn, however, I was in complete darkness; I couldn’t see my feet. Going anywhere was impossible. The nearest neighbor is about a 1/4 mile away. Not even a distant light was visible through the forest. So I prepared to spend the night outside. Luckily, all my clothes—the few clothes I brought with me, including two windbreakers, were in the outside closet. I put on several more layers. I closed the balcony sliding doors. 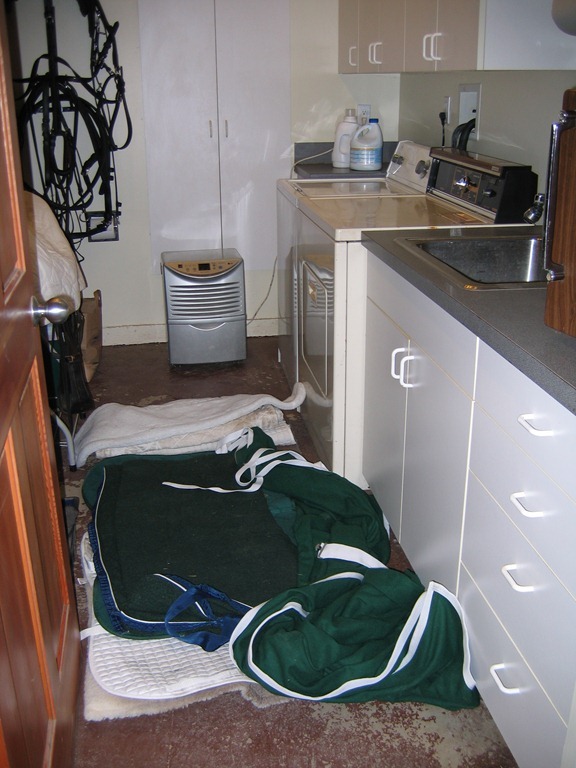 Then I went downstairs where I’d seen something hanging on bars outside the horse stalls—padding and a blanket. Using some clothes rolled up as a pillow and wearing one windbreaker and putting my feet inside the sleeves of the other one, I lay down on the landing. After quite a while, I went to sleep. By midnight, however, it was too cold to stay there. I decided to move to the laundry room downstairs. Carrying my “bedding”, that’s where I went. 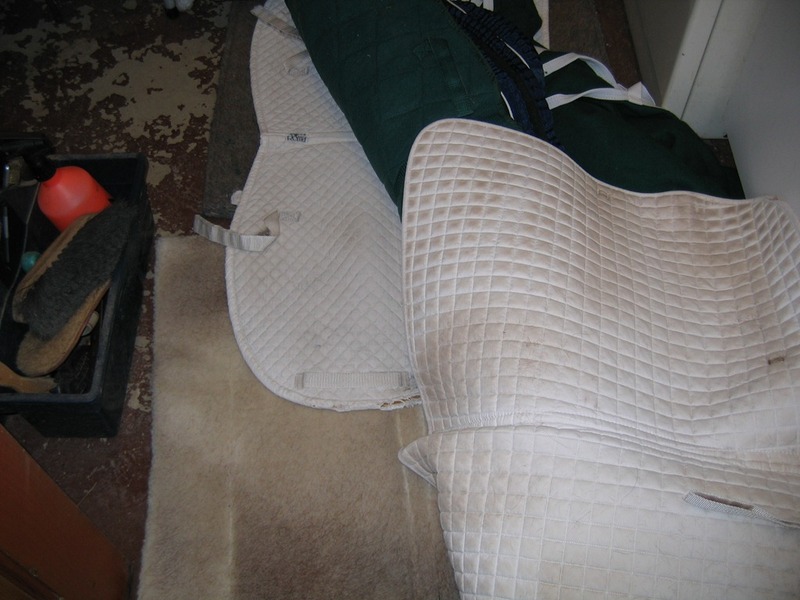 Inside I found a pile of what I assume are saddle pads and a very large, thick and soft, woolen horse blanket. I made myself a much more comfortable bed. Here’s where I slept. 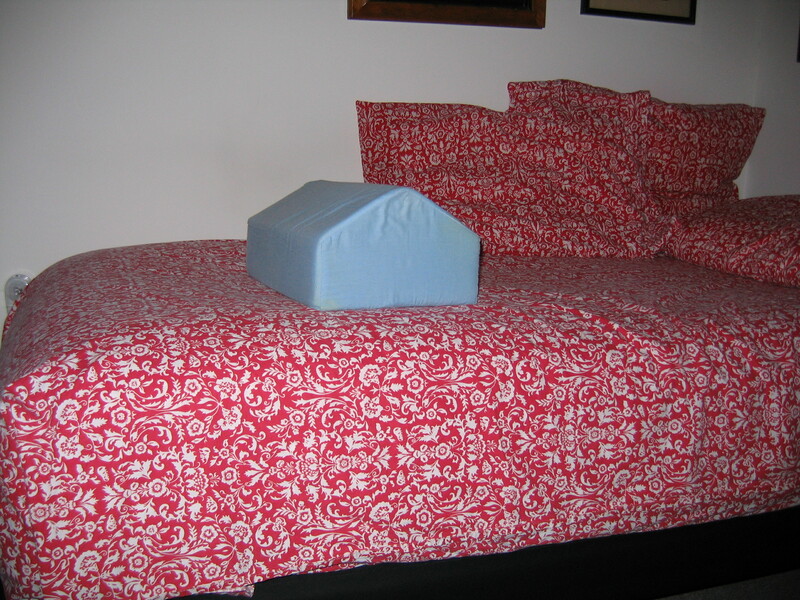 Here’s a closer look at my improvised bed. I covered myself with the horse blanket doubled and was plenty warm enough. Below you can see the layers of padding. There I went back to sleep, and although I woke briefly at 3:30, I slept until 7:00. Sure that Carol and Geoff would not hear or answer their telephone at that hour, I decided to walk to their house (5 miles) and to try to hitch a ride. It was 50 degrees. I was cold, but not as cold as when I capsized into 50 degree water. When I’d walked the mile out of the forest, a teenage boy picked me up on his way to school. After he dropped me off at Vashon Highway, a middle-aged man picked me up and dropped me uptown, a few blocks from Geoff’s house. Banging on his door several times, I woke him up and he brought me home. That day, Friday, the movers arrived with my stuff. That’s only books, art supplies, and art. They carried the rest, including the piano, up those stairs. I worked until 10:30 last night. 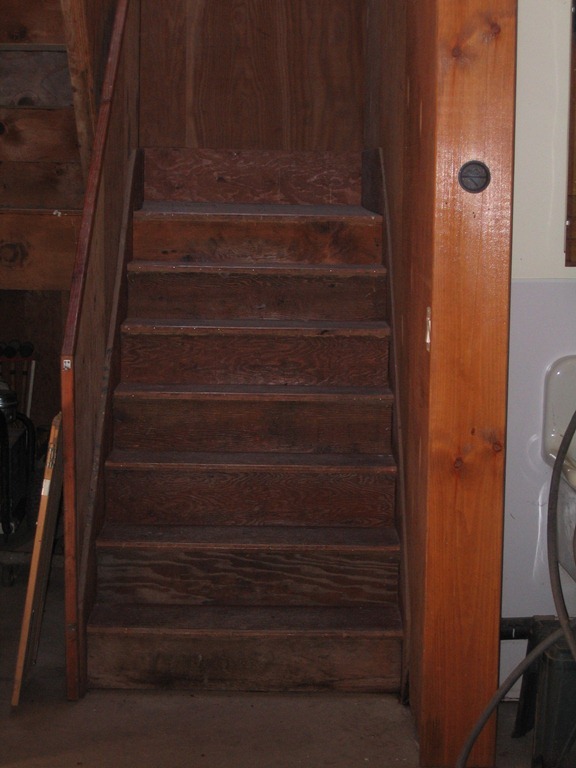 It’s Saturday morning and I’m tired and sore; and…..I haven’t found my tools. Despite my careful inventory, they were not in the box where they were supposed to be. Back to unpacking and the frantic search for the missing necessities. The back story is still to come. 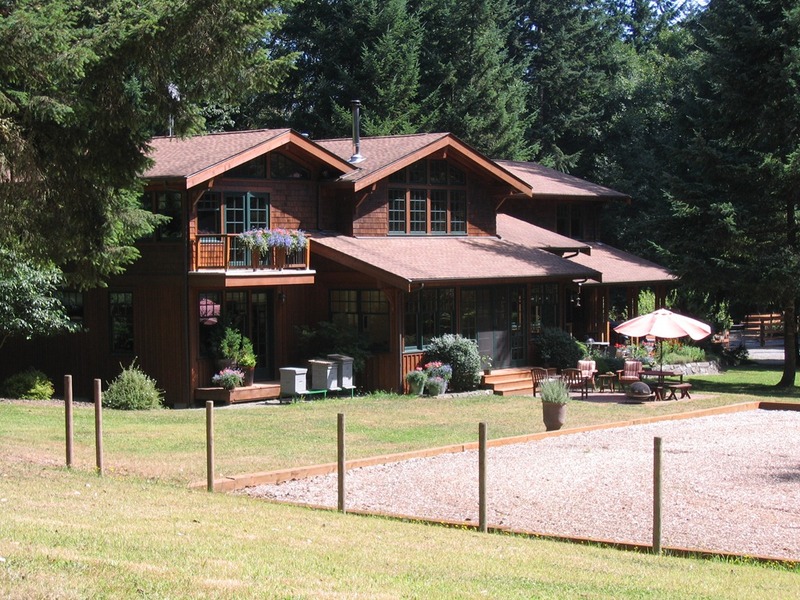 At present I am in the process of moving to Vashon. Leaving Charlestown and coming here is like going to another planet. It is such a different world. 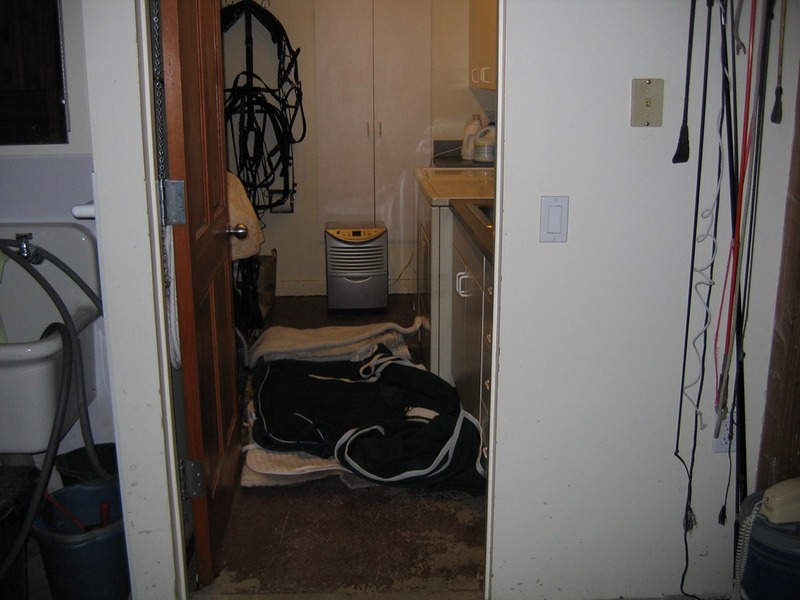 The three and a half weeks between leaving Vashon August 4th and vacating my Charlestown apartment on August 30th were a whirlwind of activity and a virtual earthquake emotionally. That’s why I have not posted recently. To come here, I had to leave Ernie in assisted living at Charlestown, 3000 miles away. I am here to help my family and to become well myself. On Friday I took delivery of my car near Seattle, in Kent, WA. 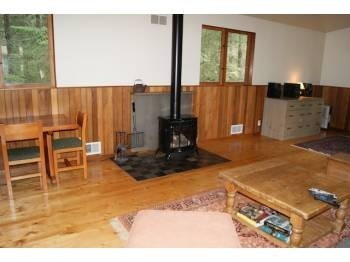 Then I moved into my new home, where I am awaiting my household goods which are somewhere between Baltimore and Vashon. I will be posting the whole story–how I came to be here. I just wanted to let you know what’s happening and why you haven’t heard from me. Since I am no longer living at Parkview 616, I will be renaming my blog–Barn View. That’s my new home. Geoff and Carol are walking toward it. Below is the entrance. 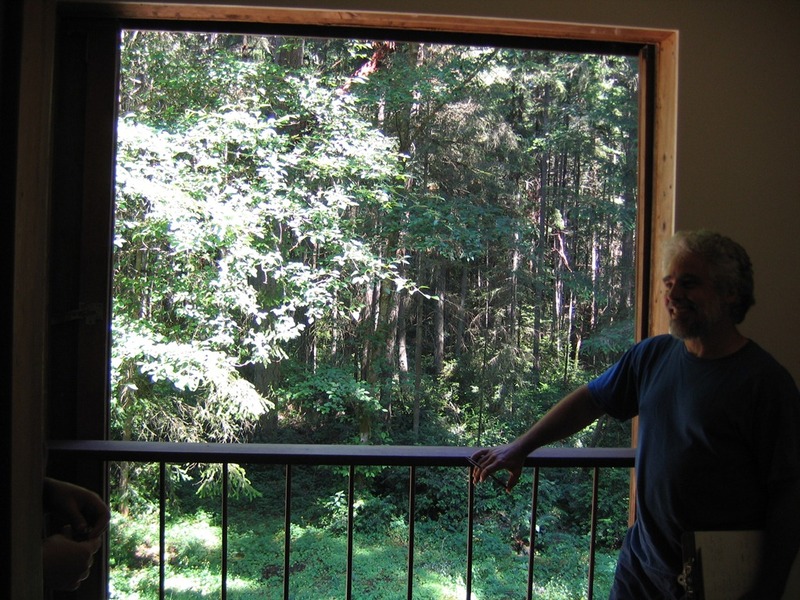 When the sliding doors above the entrance are opened, this is the view from the back of my new home. That’s Geoff standing at the railing on the day we first saw this apartment, July 28th. I signed a lease on August 3rd, then the next day flew back to Baltimore to start packing up. More to come as my life settles down.